We act as credit brokers and we are not a lender. We will introduce you to a limited number of lenders who may be able to help finance your purchase. These lenders may or may not pay us for the introduction. †Includes £3500 Deposit Allowance Paid By Manufacturer. *Excess mileage charge of 8p per mile. If you exceed this annual mileage then excess mileage charges will be applied by the finance provider at the end of the agreement should you choose to return the vehicle. Finance subject to status. A guarantee may be required. Terms and conditions apply. Unless otherwise stated, metallic paint at extra cost. Library image for illustration purposes only. The 'modern' Nissan GT-R legend began with 1989's multi-race winning R32, was bolstered by the N? ?rburgring-crushing R33 in 1995 and went stratospheric with the 1999 R34, hero of the Gran Turismo PlayStation game. Even so, few were prepared for the relentless annihilation of all rivals by the 2007 GT-R. Here was a car that was offered for sale for less than £60,000 but which could make a £100,000 Porsche 911 Turbo appear out of sorts. Somewhat remarkably, the car's creator noted in 2007 that as jaw-dropping as that car was, the real deal would emerge gradually as the result of year-on-year iterations. The latest version has been re-styled and re-fettled but its appeal remains much as before. Still the same somewhat brutal styling, still the same rumble of the 3.8-litre V6. So let's take a closer look. 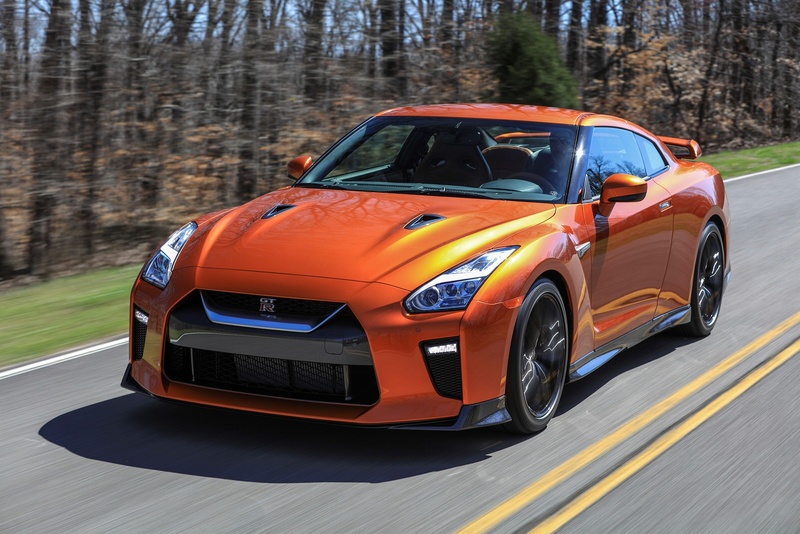 We haven't yet had the chance to give the latest GT-R a thorough appraisal yet, but the somewhat unfathomable thought is that it could actually get much better than it already is. Even the original 479bhp GT-R was a car that, if you'd never driven one before, would blast your performance goalposts into the next postcode. The latest car's 3.8-litre 24-valve twin-turbocharged V6 engine now offers 570PS - up from 550PS before - and gives even sharper acceleration in the mid to high-ranges (3,200rpm and above). 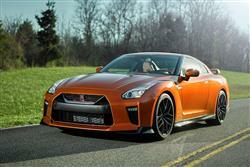 It comes mated to a thoroughly updated 6-speed dual-clutch transmission that features smoother shifts and less noise. 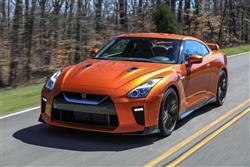 That familiar GT-R tone also has been upgraded with an engine that has never sounded better. 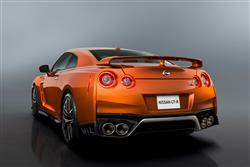 The resonance of the new titanium exhaust and Active Sound Enhancement (ASE) should enhance the driving experience. 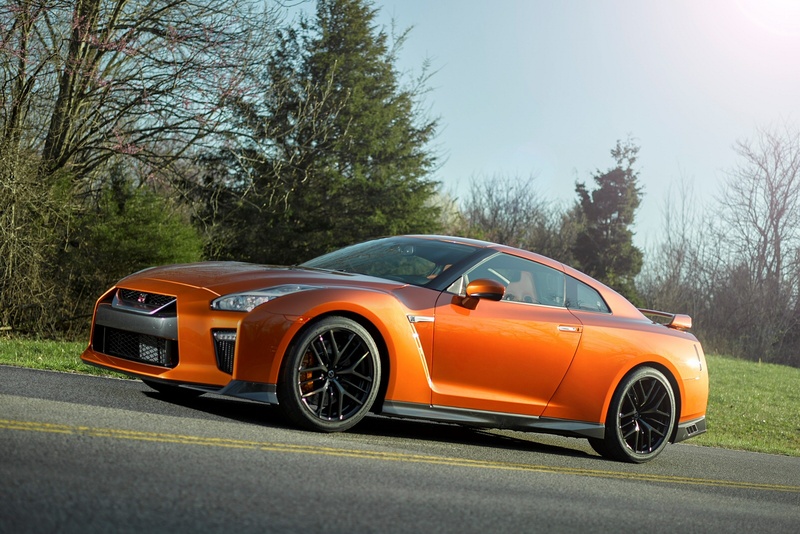 The GT-R has always been regarded as one of the world's best handling machines and with this latest car, its cornering abilities should be even better. A more rigid body structure and revised suspension are supposed to result in better stability through quick lateral transitions and higher overall cornering speed. Providing the grip are sticky 20-inch tyres, wrapped around smart "Y-spoke" machine-finished forged aluminum wheels. 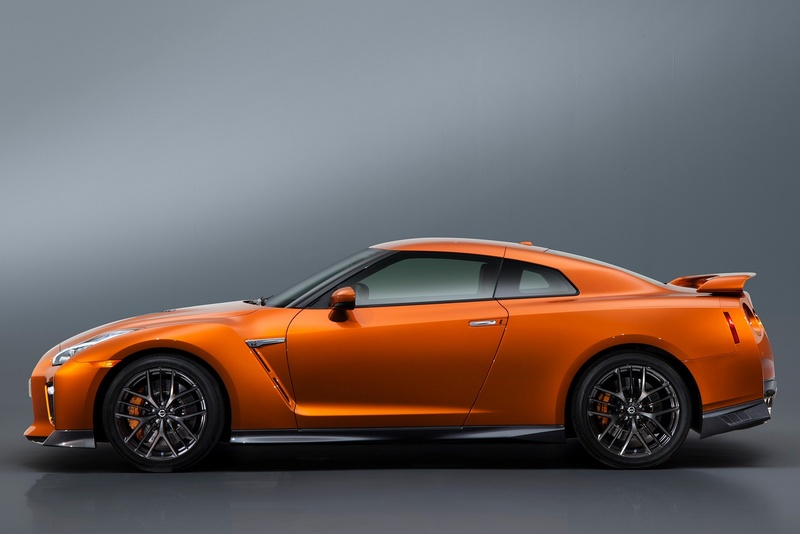 The GT-R's exterior gets a complete makeover across the front end, with a chrome matte finish "V-motion" grille that's been enlarged to provide better engine cooling and features an updated mesh pattern. The smarter bonnet, which flows flawlessly from the grille, has been significantly reinforced, contributing to stability during high-speed driving. 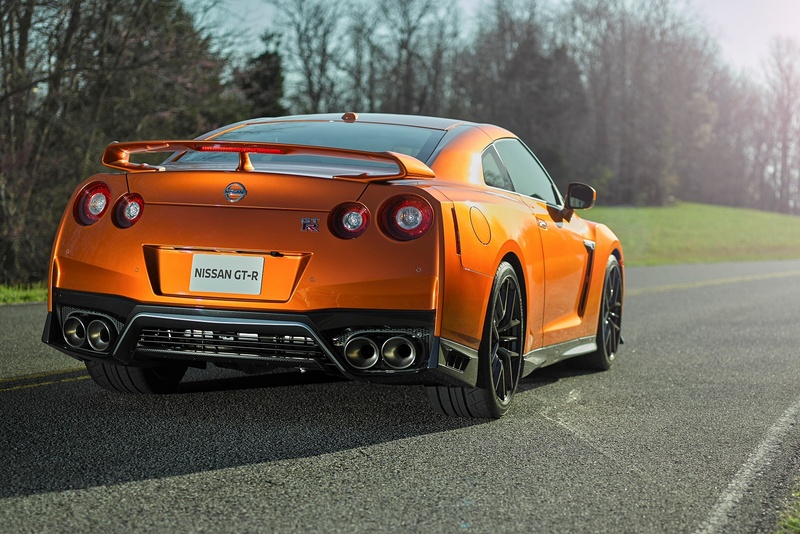 A freshly-designed front spoiler lip and front bumpers with finishers situated immediately below the headlights give this improved GT-R the look of a pure-bred racecar, while generating high levels of front downforce. 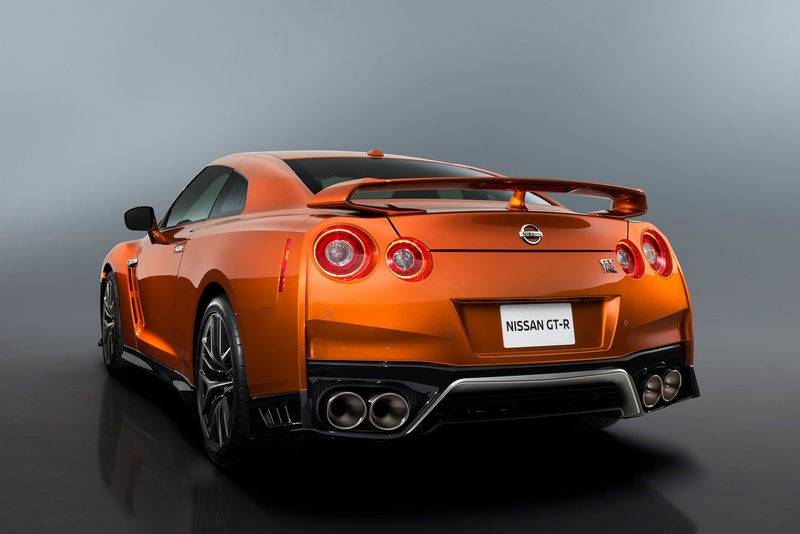 The GT-R's familiar wind-cutting shape defines its profile, but the side sills have been pushed out to improve air flow. The rear of the car has also received a thorough makeover. While the hallmark four-ring rear lights remain, look closely and you'll notice new bodywork to help improve air flow, as well as side air vents next to the quad exit exhaust pipes. Also, the belt line that separates the lower black section from the body panel has been heightened to give the car a wider and more aggressive look from the rear. Step into the cabin, and you're greeted by a more premium interior. 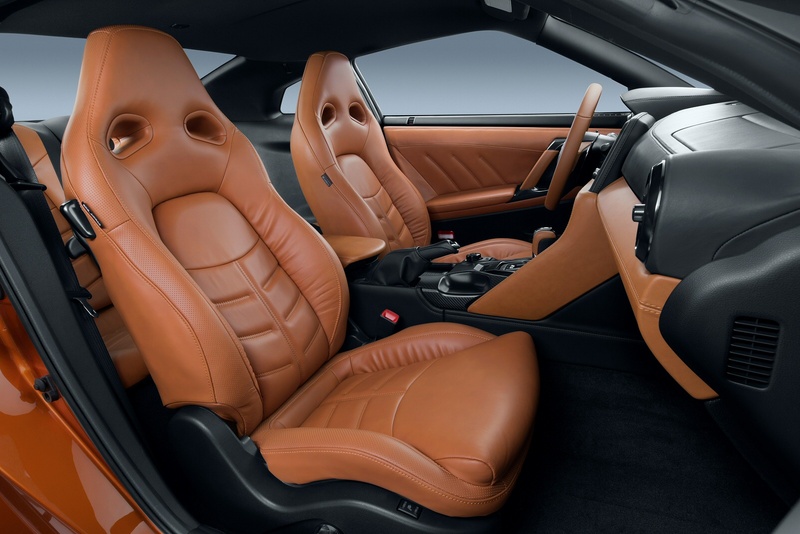 The entire dashboard and instrument panel have been redesigned and covered with high-quality leather artfully stitched together with TAKUMI precision. The shape of the dashboard adopts a "horizontal flow" that delivers a sense of increased stability for the car's front-seat occupants, while the line from the instrument cluster to the centre console provides a distinct driver-oriented environment for those behind the steering wheel. Expect to have to find in the region of around £80,000 for this car. Though that's hardly an insubstantial amount, it's still pretty good value when you consider that to achieve comparable performance in, say, a Porsche 911 or an Audi R8 would set you back well over six figures. And even then, you wouldn't get this car's sub-3.0s 0-62mph sprint capability. Now, more than ever, this car deserves its 'poor man's Veyron' tag. Although the Nissan GT-R has been hailed as the performance bargain of the decade, don't let that fool you into thinking it's remotely affordable to run for anyone with a normal salary. Everything about this car is big money. It munches consumables at a prodigious rate, chewing through tyres and clutches with abandon if used in anger. Fuel economy, although closer to 25mpg for this latest model, is still pretty eye-watering too and residual values are no longer the unimpeachable proposition they once were. Insurance is a full-house Group 50 and many insurers will load premiums when they hear those three magic letters. 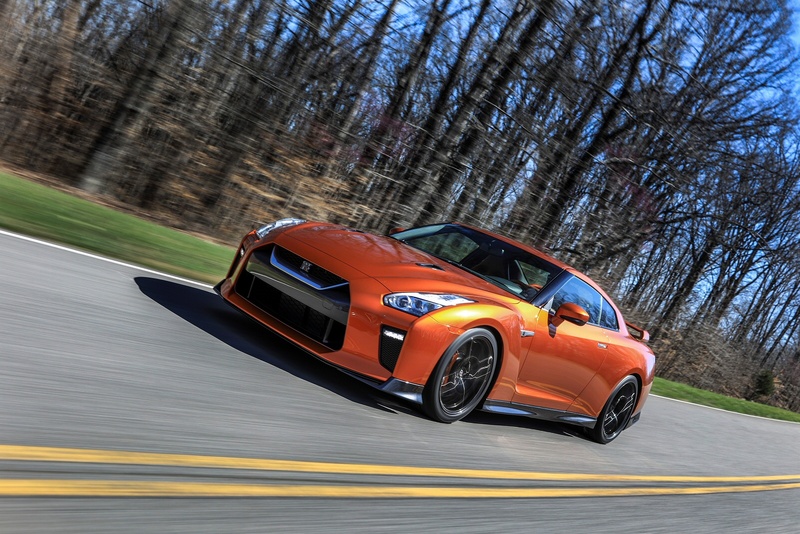 Although ongoing costs may be steep, few owners will regret their purchase because the GT-R is something very special. It's a vehicle that carries a weight of personality well beyond its price level. 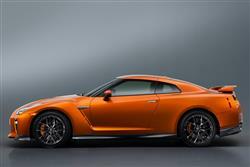 If you�re looking for a new Nissan Gt-R 3.8 Prestige 2dr Auto Petrol Coupe for sale, you�ve come to the right place. 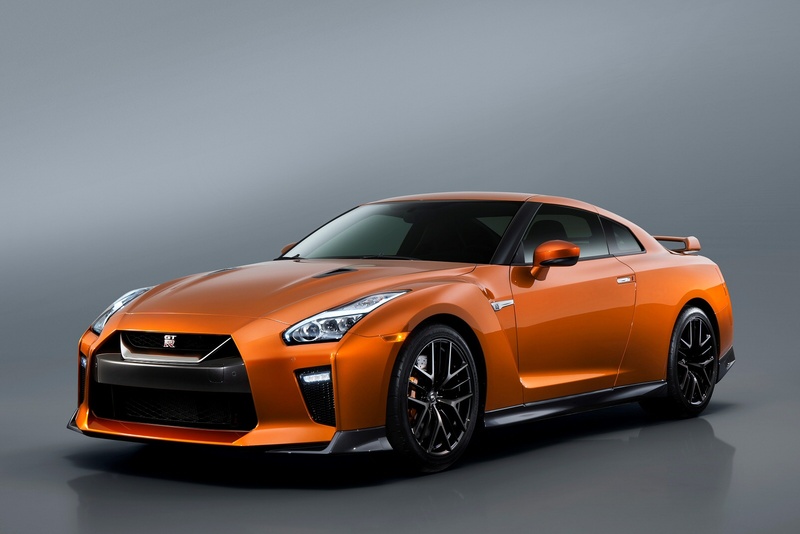 At Bristol Street Motors we don�t just have the best Nissan Gt-R 3.8 Prestige 2dr Auto Petrol Coupe deals, we also offer friendly advice and help with all your enquiries to ensure your buying experience is a happy experience.